Utilizing a high resolution video system, VMI’s remote support engineer is able to guide the customer through the faultfinding procedure in order to quickly resolve the issue without the need to travel to site. Calling upon the latest interactive technology, a VMI engineer guides a customer’s engineer to help pinpoint a defective part or cause of a problem. The system makes complicated procedures easily visible and clearly indicates what tasks have to be performed. This real-time advice considerably saves on response time, thus reducing downtime and assuring a quick continuation of the production process. 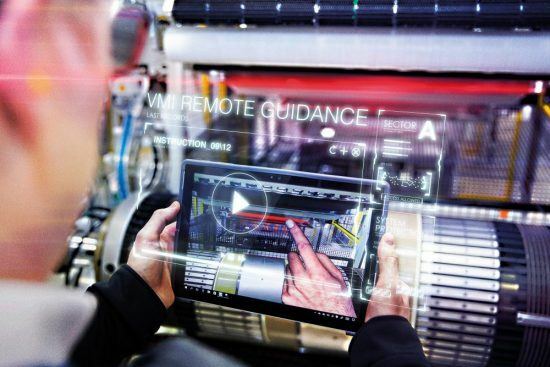 VMI Remote Guidance is a product of VMI Services, which is committed to provide the industry with professional top class service to ensure optimal use of VMI equipment with low cost of ownership.